We applaud the government’s and ESB’s efforts to date to resolve uncertainty over long-term energy and climate policy, and encourage federal, state and territory governments to work together constructively and with a sense of urgency to that end. The Australian Chamber’s members support the NEG as a long-term, bipartisan, nationally agreed policy solution to help guide investment in the electricity generation sector. However, our members have also stated that this policy must help to deliver lower costs for consumers. 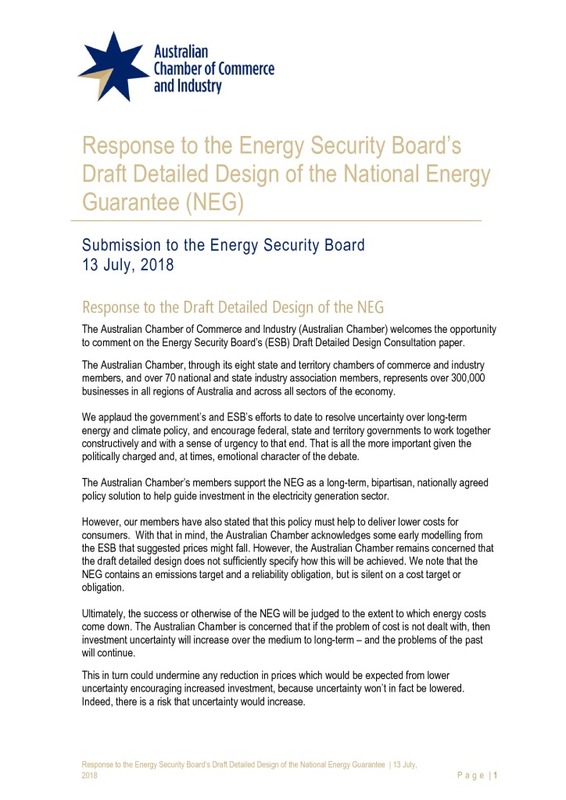 The Australian Chamber remains concerned that the draft detailed design does not sufficiently specify how this will be achieved.